We would like to invite you to join the Graduate Recruitment And Development Community (GRADC) Facebook group. Posted on November 15, 2018 by Jum Lamont. Fact. Graduates consider the development opportunities on offer when looking for an employer. Fact. It is no longer acceptable as an organisation to ignore the importance of graduate development for the individual graduate as well as the business as a whole. Posted on July 4, 2018 by Jum Lamont. Graduate Development Inductions have come and gone for the year and now is the time to truly innovate and take the next step in designing your best possible development program. Creating that next step on the development journey takes passion and commitment – with the graduates needs always at the forefront of your thinking. Posted on November 1, 2017 by Jum Lamont. Posted on November 1, 2017 by Aiesha Storti. Posted on September 28, 2017 by Jum Lamont. By now, we are all aware of the impact a leading-edge development program can have on the attraction, retention and the growth of graduates – but the question that is still most often asked is “what more can be done” and “what are the trends that can help to ensure the best return on investment”? Posted on September 28, 2017 by Cheryle Walker. At Fusion Graduate Development, we are addressing the holistic needs of Graduates, and we now have Australia’s leading online customised Graduate Portal to complement and support the best Graduate development programs. Posted on September 28, 2017 by Robbie Verrall. Now that recruitment is wrapping up, for most Organisations, it’s time to shift focus to conducting program reviews and checking in on the health of YOUR graduate program! Posted on April 27, 2017 by Jum Lamont. Posted on October 21, 2016. During our recent Australia-wide Masterclass series, Fusion became aware of a considerable demand from Graduate Managers for information around both Success & Development Profiling and the customisation of Development Programs. 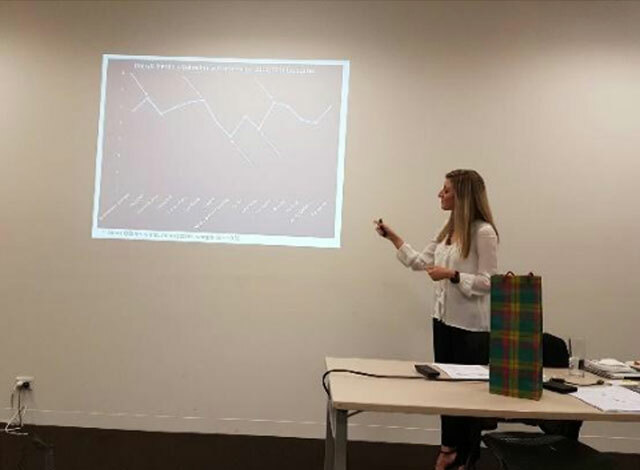 In response to this, earlier this month the Fusion Development team delivered a breakfast seminar to 20 of the leading graduate managers in Melbourne, in which we launched the latest Profiling and Development research analysis, showcasing the Top 5 Graduate Profiling findings.